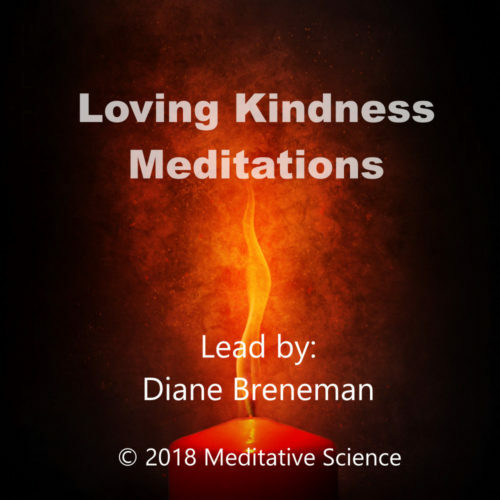 Loving Kindness Meditations: 6 - 20 Minute Meditations: Most people walk through this world being extremely hard on themselves. Although we often hear that we need to love ourselves and that truly loving and accepting ourselves is necessary before we cant really love another, it is rare that this dictate comes any directions about how to create such an experience. Loving kindness meditation has been creating compassion in its practitioners for thousands of years. This specific program offers a new and unique way to practice loving kindness meditation so that even the harshest critic can know a new depth of compassion for oneself and others. Neuroscience has now shown that in as little as two weeks of practice, you can actually increase the size of those portions of the brain responsible for both self and external compassion. 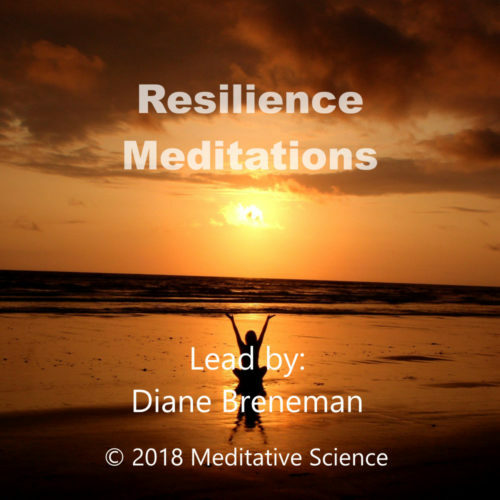 Resilience Meditations: 6 - 20 Minute Meditations 1 - 5 Minute Practice Meditation is a key component to increasing both your level of resilience and emotional intelligence. Through meditation we can deepen our ability to allow painful emotions to simply flow through us while increasing our neurological and physical capacity to experience greater peace, joy and love in our lives. Included is a five-minute practice for dissipating painful emotions and six twenty-minute practices to increase our connection to the physical body, open the heart and elevate the overall experience of life. Mindfulness Meditation 9 Meditations Much is being written and discussed about the benefits of mindfulness meditation but many struggle attempting the practices on their own or even listening to guided meditations that are not aligned with what science has discovered are the most effective methods for creating a powerful daily practice. 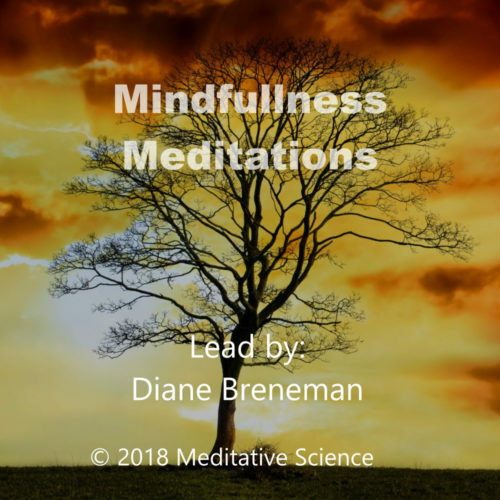 Through these six meditations you begin to experience the profound impact that meditation has on the human brain, creating a greater capacity for peace and relieving stress and anxiety. 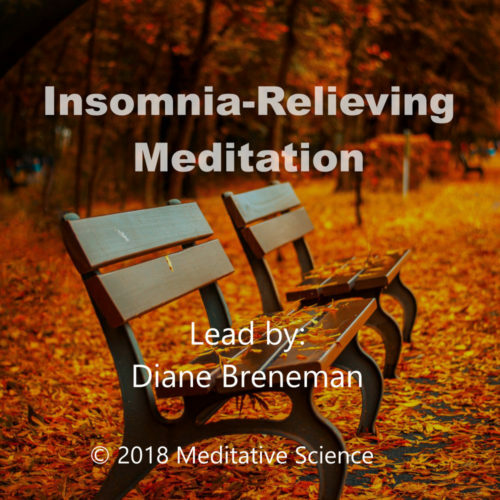 Insomnia-Relieving Meditation 1 - 20 Minute Session Meditation is a powerful tool to relieve pain. In multiple studies, meditation has been shown to be more powerful then morphine at relieving physical pain and emotional pain. Researchers at Wake Forest University have shown that meditation actually works on a separate non-opioid relieving process in the body. Whether used in conjunction with medication or separately, meditation is an indispensable tool when you find yourself in pain. 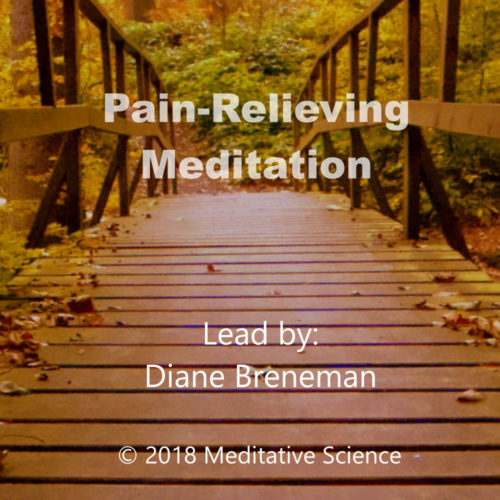 Pain-Relieving Meditation 1 - 20 Minute Session Meditation is a powerful tool to relieve pain. In multiple studies, meditation has been shown to be more powerful then morphine at relieving physical pain and emotional pain. Researchers at Wake Forest University have shown that meditation actually works on a separate non-opioid relieving process in the body. Whether used in conjunction with medication or separately, meditation is an indispensable tool when you find yourself in pain.